All Joel Cagulangan could do in that moment was sit on the floor, and hope for the best. Down three points, Joshua David had just made a three-pointer from the top of the key with 0.5 seconds left on the clock. Yet, doubt could be seen from the faces of the La Salle Greenhills Junior Blazers. The Malayan Red Robins players could be seen begging the referees to wave the three off, believing Joshua wasn’t able to get his shot off in time. If the referees determined the shot was good, the Junior Blazers get a second chance by forcing the game into overtime. If they waved it off, the Red Robins would have completed the upset versus the heavily favored Junior Blazers. With a blow of a whistle, the Mall of Asia Arena that afternoon was divided in an instant. The Malayan side rejoiced, winning their 22nd NCAA Juniors Basketball championship. The La Salle side, however, was left speechless as their hopes at going back-to-back was destroyed. It was a rough end to an otherwise fruitful season for Joel. He was crowned the league’s Most Valuable Player, further solidifying himself as the best High School point guard in the country. However, during the latter part of the season, Cagulangan’s body started to break down, as he played through a torn ligament. It could have been the perfect ending to a superhuman effort by Joel. Yet, here he was, sitting on the floor, in tears over a lost championship. Losing in the Finals is already painful enough. Having to sit out for up to four months due to injury made things even worse. “Nawalan kami ng gana nung natalo kami ng Game 3,” said Joshua. Joel, as the leader, could have been at the forefront at the lowest point of the team. But even in that moment, he chose to embrace one of the most important principles he’s learned over the years. “Hindi ko sila hahatakin pababa. Hihilahin ko sila pataas,” said Joel. Instead of moping endlessly, he chose to smile and keep that same energy he’s had since day one. 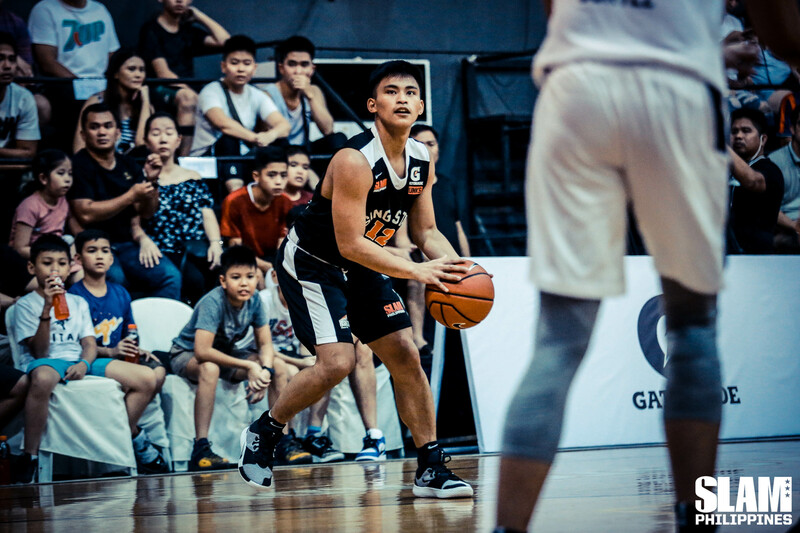 Even when he was playing under the shadows of Troy Mallillin and Unique Naboa, Joel has always had a natural influence to his teammates. 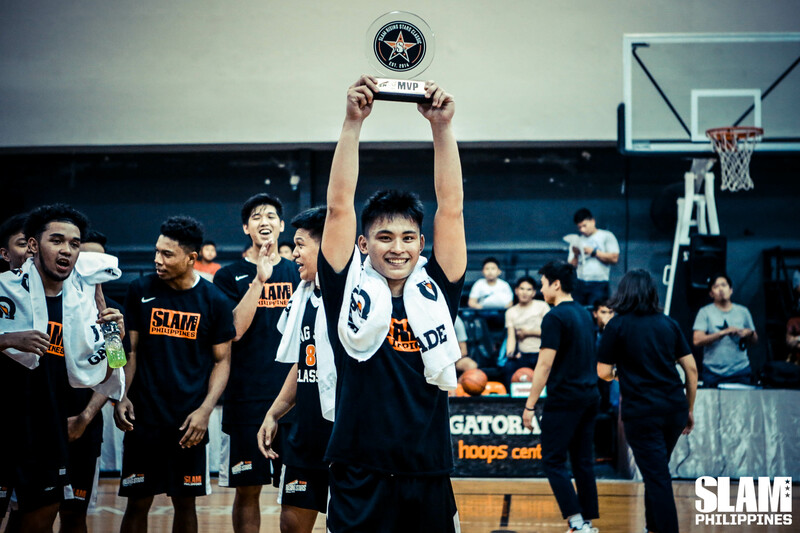 His passion for winning was infectious, and it was only a matter of time before he became the face of LSGH basketball. He was a born leader, and Coach Marvin Bienvenida recognized this. “Di ko makakalimutan kung sino nagturo sa akin nun, walang iba kung hindi si Coach Marvin (Bienvenida),” said Joel regarding the principle of pulling people up rather than pushing them down. During Season 93, Joel learned to embrace the title of captain by leading LSGH to its first NCAA Juniors championship. Come the end of Season 94, he was facing a new challenge with this rehab process right after a heartbreaking Finals loss. It was difficult, but in all things, he was going to pull his teammates up, rather than to push them down. “Gusto ko yung ugali niya na di siya sumuko,” mentioned his close friend Joshua. “Sobrang sipag niya talaga, gusto niya gumaling.” Joel cried, but he never moped. He struggled, but he never complained. Even as he was disallowed from crossing people up, he still maintained the same passionate energy that’s been his trademark as a basketball player. He diligently followed his Physical Terapist’s orders, all for the sake of recovering from his torn ligament. It may have not been evident, but Joel’s resilience spoke volumes. Very quietly, he showed his teammates that all of them were going to be fine. It would be painful at first, any injury or Finals loss truly is. But once he stuck it out, better things eventually followed. 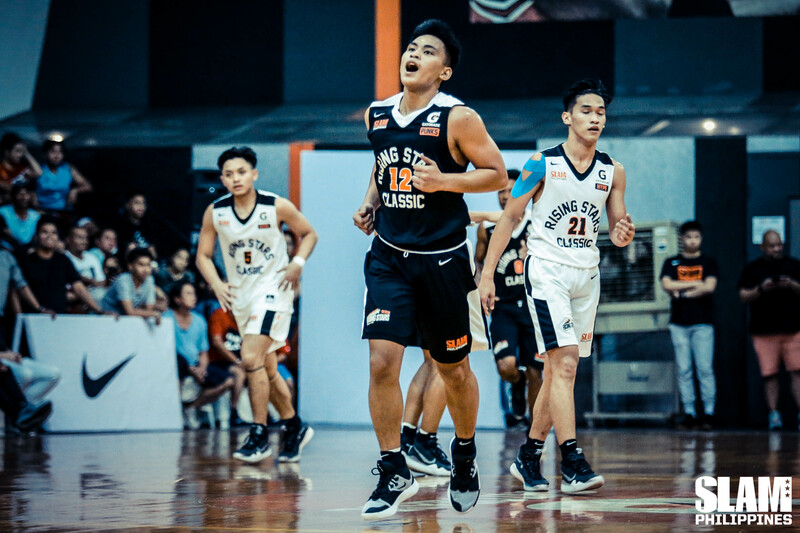 During the 2019 SLAM Rising Stars Classic, Joel had the chance to make one final mark as a High School basketball player. This was the perfect stage, as in all five years of the showcase, a guard has won the MVP award. The stage was set for Joel to make his one last ride a memorable. To start, Joel seemed a little hesitant with how he operated around the court. He looked a step slow when he was trying to drive towards the rim. He looked like he lost that fearlessness that he had when he was attacking defenses in the NCAA. But at the same time, Joel wasn’t forcing the issue. He wasn’t forcing shots, or passes that were out of his comfort zone, even when his team was down. He was working within whatever the defense was giving him, and it showed with the five assists and zero turnovers he had in 16 minutes of play. With less than four minutes remaining, Team Punks found themselves down 68-66 versus Team Hype. It’s in these moments when the game slows down, and a team puts their trust in their best player. No one in the team was barking for the ball, but somehow, it always found its way towards the direction of Joel. It started with a crafty reverse layup that tied the game at 68 all with 3:54 left on the clock. Right after that, it was evident that there was an extra bounce in Joel’s step as he ran up and down the court. He’s always been passionate and energetic, but in that moment, it felt like he had flipped a switch. It was winning time. Forthsky Padrigao and Gerry Abadiano traded baskets right after, and with two minutes remaining, the game was knotted at 70 all. A moment was coming, a SLAM Rising Stars Classic tradition. Normally, superstars would force themselves to be bigger than these moments. For Joel, however, it was natural, as if the moment ceded control to him rather than the other way around. It all goes back to his leadership. He wanted to pull his teammates up with him. Taking the big shots was part of that deal. With zero hesitation, Joel pulled up from beyond the arc twice over the span of 30 seconds. Fear could have swallowed him up, but he didn’t allow that to happen. Instead, he embraced the situation, with the same energy and passion he’s had ever since he became a Junior Blazer. Both shots swished in, giving Team Punks enough of a cushion to survive a Team Hype rally. His clutch performance, scoring or assisting in the last 10 points of his team, earned him the SLAM Rising Stars MVP. It could have been a different ending to Joel high school career. The final chapter’s image could have been one of him on the floor, with tears on his face thinking about what could have been. Instead, what will be drawn is one that has him smiling from ear to ear, raising up a trophy that he earned through months of pain and hard work. It may have been difficult, close to impossible even considering the amount of competition there is at this level. But Joel ended up writing the perfect ending to his story, cementing himself once more as one of high school basketball’s best.